HFM at Milan Fashion Week: Day 1 | HELLO! 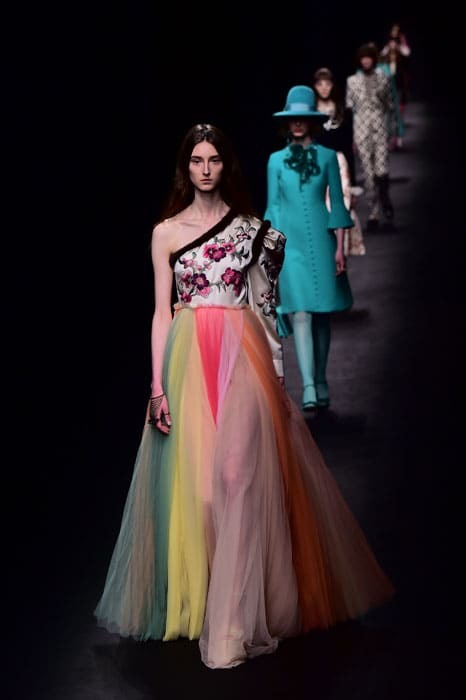 Bright sunshine heralded the opening day of Milan Fashion Week. False alarm! Biting winds signalled winter was far from over. But the heat coming off the runways was compensation and more. Despite starting an hour late, Alessandro Michele continued the decadent revolution at Gucci with a collection that imagined the Renaissance kicking up its heels at Studio 54. Alberta Ferretti's show moved from bedroom to boardroom, mixing pyjama tailoring and negligee dresses, in floral silk-satin, as soft and sensual as pillow-talk, with glitter tweed suits, coats and seamed-to-fitbelow-the-knee dresses, worn with souk-shoes. All of Ferretti's renowned embellishment and hand-crafted details flourished, with swingy, djellaba-style, hooded cape-coats and mid-calf pencil skirts surprising with fur panels, or gowns as delicate as a butterfly wing, conjured up in featherweight lace, silk, and tulle. Did I say Milan Fashion Week? 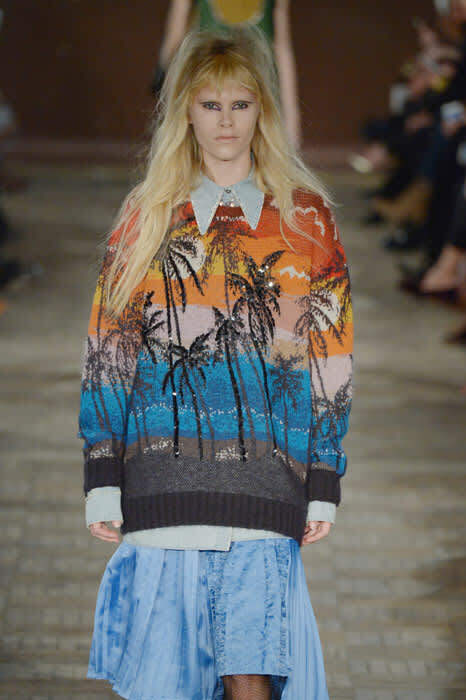 Alessandro dell'Acqua had me thinking I was back in London Town with a wild and wonderful mash-up of a collection for No.21. Punk, rock-chick, Miami, Kyoto and1930's were all stirred into the mix with electrifying results. The designer called it "casual glamour"; I call it way to go Milano.